According to many royal and fashion industry sources, the former “Suits” star chose British couturiers Ralph & Russo to make the first of two gowns she plans to wear on May 19. 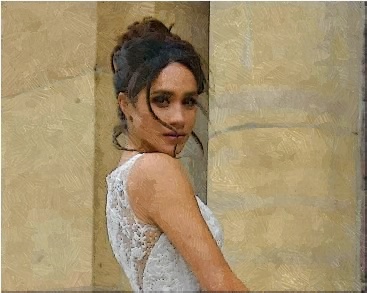 The wedding gown is rumored to be a hand-stitched, heavily beaded design, which the actress will wear when she will walk down the aisle at St George’s Chapel in front of 600 guests as well as for the reception in St George’s Hall at Windsor Castle. Another source dishes the scoop that the gown is worth £100,000 and the cost will be shouldered by Prince Harry and his family privately. Although the price seems to be a lot of money, the source insists that this is the wedding of the year and hundreds of hours of manpower have gone into making it, which is almost all by hand. Meanwhile, Kensington Palace shares new details about the wedding. It was revealed that Prince Harry and Meghan Markle are not going on a honeymoon until later in the summer and they will conduct their first public engagement as man and wife days after their wedding.